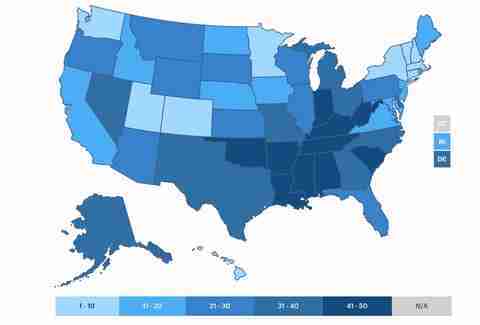 These Are the Healthiest (and Least Healthy) States in the U.S. There are a lot of ways to be an American, and plenty of states to go along with those ways. 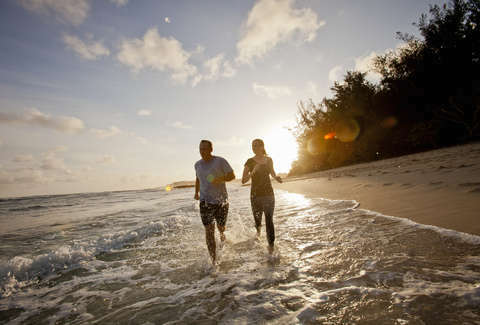 There are beautiful states, beer-loving states, food-loving states -- but those last two, while noble pursuits, may have some hand in this other list: the most and least healthy states in America. This list comes via the United Health Foundation’s 2018 America’s Health Rankings, which is "the longest-running annual assessment of the nation’s health on a state-by-state basis." As for what exactly they mean by health, the study uses the World Health Organization's definition: "a state of complete physical, mental and social well-being and not merely the absence of disease or infirmity.” In short, it's worth paying attention to. To evaluate each state's health, the report looked at five determinants: behaviors, community & environment, policy, and clinical care -- all of which they say "reflect the personal, social, and environmental factors that influence the fifth model category, health outcomes." Those five categories were broken down into 35 representative measures, like air pollution, infant mortality, and drinking and smoking rates, with data from a variety of up-to-date sources. As you can see, Hawaii led the pack, and that shouldn't surprise you. Hawaii was at No. 2 last year, but it's been at No. 1 four of the past five years and a total of nine times since 1990, the first year of the report. In fact, the entire top five this year was present in the top five last year, and Hawaii, Massachusetts, and Connecticut were in the top 10 for all five categories. But it's also worth highlighting Maine, which climbed seven places, all the way up to No. 16 this year -- much of that had to do with improvements in its smoking and children-in-poverty rankings. Then there are the states that, as the report says, have the "greatest opportunity for improvement." That means Louisiana, which came in last, and Mississippi, which came in next-to-last. Next was Alabama, which was a good bit ahead of them. In other words, it's unlikely that there will be a shakeup for those bottom two. Oklahoma dropped the furthest, from 43 to 47, which the report attributes to increases in both obesity and physical inactivity. But that just means they have greater "opportunity for improvement" next year. While that may be a bit of downer, there is some good news: The report points out that "difference between the highest and lowest scores is smaller than it was in 2017." At least we're in this together.